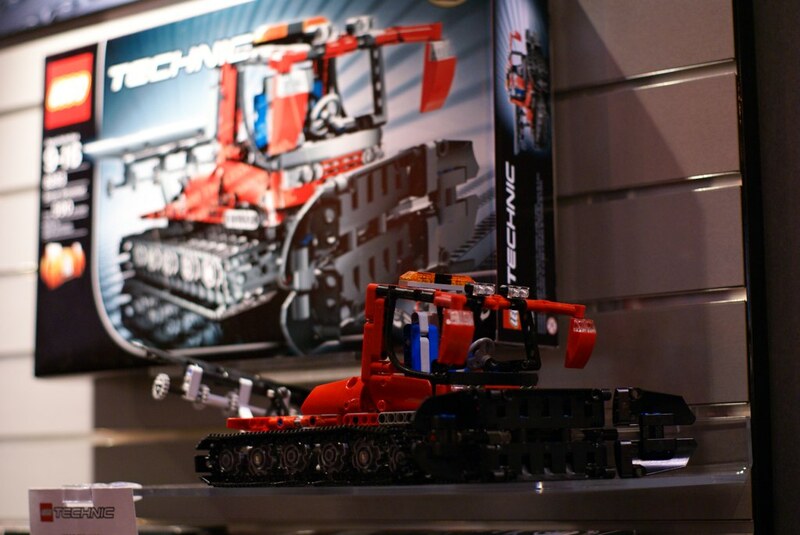 Joe Meno went to New York Toy Fair, took tons of photos and made some videos. You may find the photos at Joe Meno's photostream at flickr. The videos have been publishing at BrickJournal, while Joe is uploading them to YouTube. 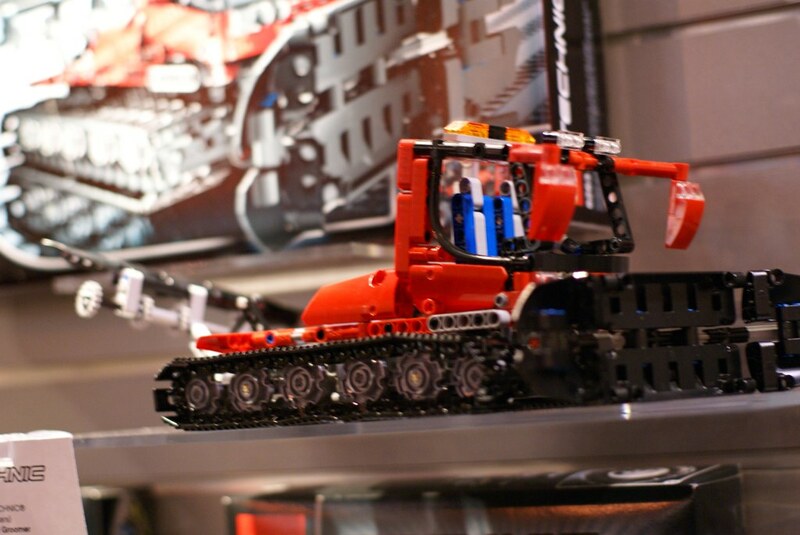 The most relevant part for you TBs readers, is a video from the new Snow Groomer (8263) and NXT 2.0 (8547), with some new details. Prices for US market are respectively $49,99 and $279,99, which is well aligned to what was already mentioned here, before. If visioning directly from YouTube, you may see also the high quality version of this same video. It was interesting to finally see with reasonable detail, the walk of the new Alpha Rex version. It really looks very empty in the rear! But that protruding part suggests it is meant to take an attachment, like the crane on Sariel's Snow Groomer. If LEGO launched a Pneumatics Pack like the 5218 (preferably with an airtank like the 9641), or, even better, one with a PF motor and compressor, it would be a great combination. Machines like this in real life ARE empty at the back. Sariel's crane is certainly overboard, I have never seen a snow groomer with a freaking crane on it in any of my 10 years of snow boarding. 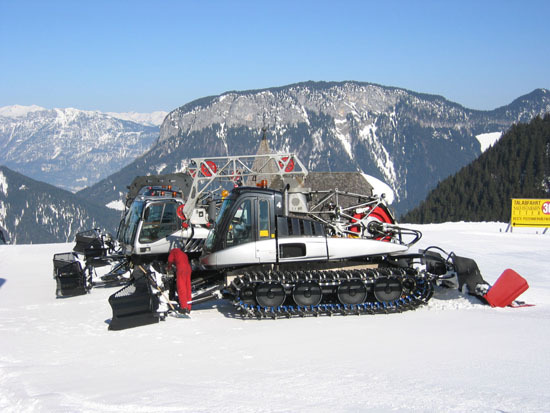 Snow groomers with crane do exist: Han Crielaard made one, based on the Prinoth Leiwolf. Here are two Leitwolves (is this a correct pluralisation?) with cranes and certainly not empty rears. While these devices on the back of snow groomers do exist, they are not really "cranes". There is no boom and they are not made for lifting anything. It is actually a drum winch which is used to pull the groomer up grades which would be too steep to climb otherwise.